*Subspecies may be further merged in the future. Coat: Tawny to light brown with white underparts. Small and large, solid black spots. Regional variants exist. Range: Widespread in southern and eastern Africa; a small population persists in Iran. Habitat: Semi-open country with cover. Vulnerable (some subspecies Critically Endangered). Activity Cycle: Diurnal, most active in daytime between 07:00-10:00 and 16:00-19:00. Social Groups: Males may form coalition groups; females are solitary except when caring for cubs. Communication: Wide variety of calls. Males use urine and feces to delimit territory. Sexual Maturity: Females mature at 21-22 months; males at 2.5-3 years. Average speed during chase of prey is 64 kph (40 mph), but top speed is 112 kph (70 mph) lasting only about 20 seconds. 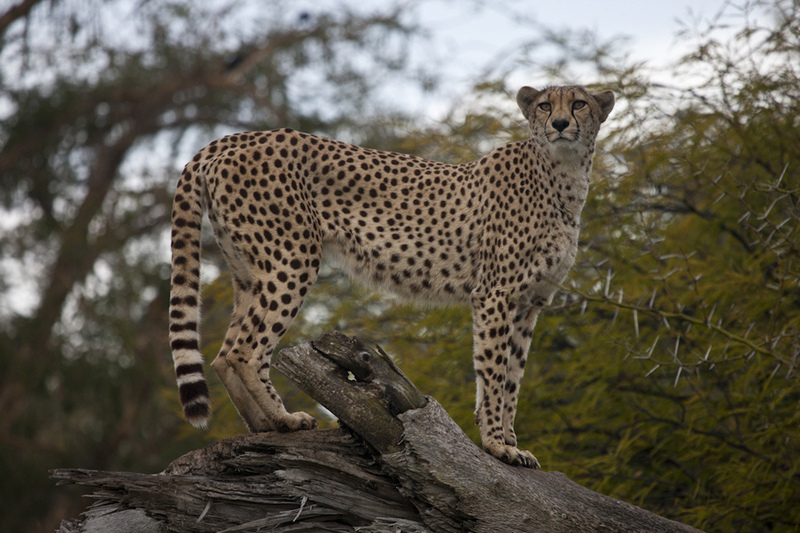 The San Diego Zoo acquired its first cheetahs in 1939. "Juba," born at the Wild Animal Park in 1970, was the first zoo-born cheetah to survive infancy. More than 125 cheetah cubs have been born at the San Diego Zoo Safari Park. © 2002-2018 San Diego Zoo Global. Minor updates 2009, 2012, 2015. Taxonomy and population estimates updated Sep 2018. 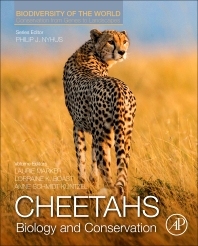 Detailed resource on many aspects of cheetah conservation: history of conservation, cheetah-human relationships, evolution, threats to survival, etc. Table of Contents available here.